A United Nations investigator has warned that moves to crackdown on migration may worsen the risk of more attacks in Europe while breaching refugees’ fundamental rights. Ben Emmerson, the Special Rapporteur on counter-terrorism and human rights, found “little evidence” that Isis and other terror groups use refugee flows or that asylum seekers are prone to radicalisation. Delivering a report to the UN General Assembly in New York, he said: “While there is no evidence that migration leads to increased terrorist activity, migration policies that are restrictive or that violate human rights may in fact create conditions conducive to terrorism. Mr Emmerson’s report found that policies to “criminalise irregular migration”, build fences and carry out push-back operations are driving covert movements and people smuggling that “may ultimately assist terrorists and lead to increased terrorist activity”. Analysts have previously warned that moves to turn away or detain refugees from Syria and other countries feeds into extremist propaganda that seeks to portray the West as a violent and oppressive enemy of Muslims. 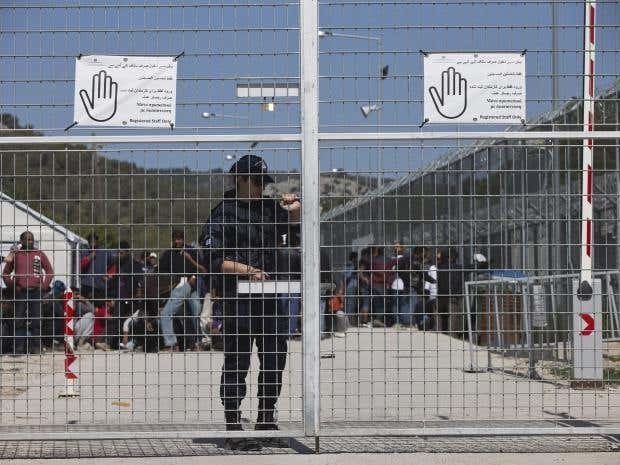 Several European countries have tightened border controls over the past year in response to security concerns related to the refugee crisis, with the EU signing a controversial deal with Turkey seeing all asylum seekers arriving in Greece detained under the threat of deportation. The crossing over the Aegean Sea was used by Isis to transport members of the cell that carried out the Paris and Brussels attacks back to Europe, using fake Syrian passports. 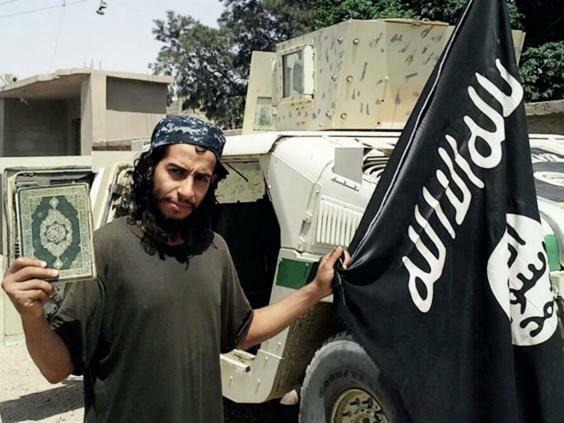 Ringleader Abdelhamid Abaaoud used an Isis propaganda magazine to boast of his travels between Belgium and Syria “despite being chased after by so many intelligence agencies”, although the article did not specify the method. Two of the Paris suicide bombers arrived on the Greek island of Leros on the same day last October with fake passports, while accomplice Mohamed Abrini travelled from Syria under the name Naim al-Hamed and evaded authorities while preparing to launch the Brussels attacks. Mr Emmerson acknowledged the link but said there was “little evidence” that terrorists systematically exploit refugee flows to carry out atrocities, while research shows that very few asylum seekers are responsible for attacks. The finding was echoed in Europol’s 2016 European Union Terrorism Situation and Trend Report, which acknowledging a small number of known cases. But the fear of further attacks has driven a growing link between anti-terror measures and immigration policy that is “analytically and statistically unfounded, and must change,” Mr Emmerson said. “Even with ongoing attempts to reach resolution in the Syrian conflicts, we are likely to see a continued flow of refugees beyond the current record levels,” he told the UN General Assembly. “What is clear is that policies that respect human rights, justice, and accountability, and that manifest the values on which democracy is founded, are an essential element of effective counterterrorism policies. “The further we move away from this, the more we concede to terrorist groups. “We are here today to correct the misperception that international refugee law is an obstacle when it comes to addressing security concerns. His study recommends that countries should recognise that the vast majority of people fleeing Syria and other affected regions are victims of terrorism, rather than viewing them as potential suspects in the first instance. It also calls on states to respect the fundamental rights of migrants and warns that operations to turn back ships or asylum seekers and detain of migrants likely violate human rights and breach obligations under international refugee law. The report warned that the UK’s provisions to revoke refugee status for extremist or “unacceptable” behaviour by applicants or their dependants “go beyond what is permitted” by a 1951 convention. A record 65.3 million people are currently refugees or displaced in their own countries according to the United Nations – the highest figure since records began before the Second World War. More than 320,000 asylum seekers have arrived in Europe by sea so far this year, far below last year’s total of more than 1 million, with at least 3,600 dying in treacherous boat crossings.